It’s that time of year again, the winter TPT sale! 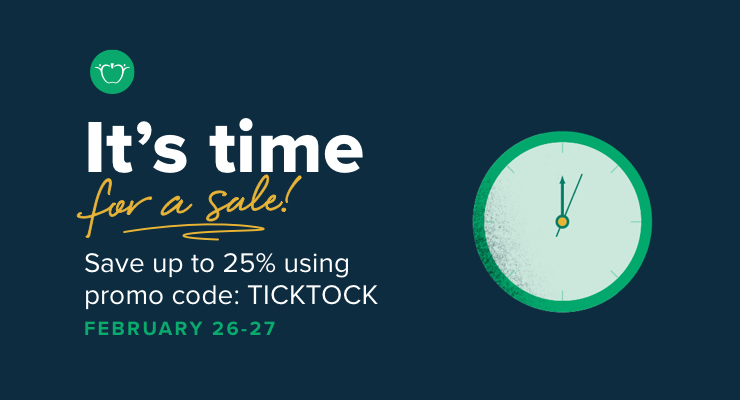 My entire store will be 20% off, with an extra 5% off at checkout, just enter the code: ticktock. As usual, I have been working hard on developing new products and I have a new curriculum bundle ready for you to save big money on tomorrow and Wednesday. Since August, my talented and wonderful coworker, Meagan Brooker, and I have been working on an Introduction to DSLR Photography curriculum. This bundle is a hefty 100 dollars, but is worth every penny. It includes 18 photography projects, 13 critiques, 9 artist research assignments, a focus on the history of photography, semester long timeline, how to set up a class blog, and more. 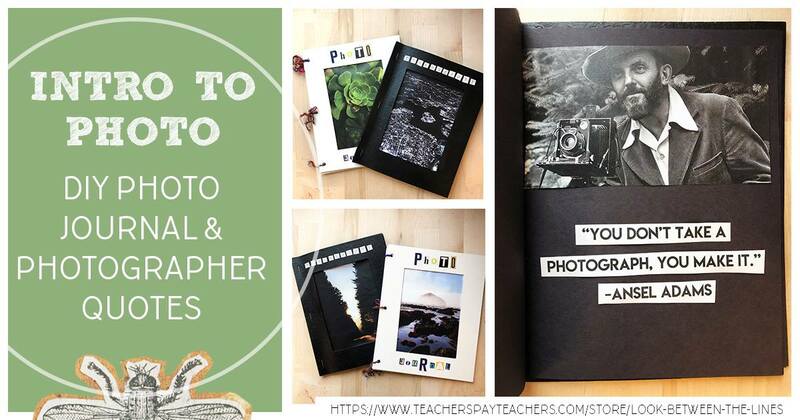 With this bundle you will not have to plan a single day of the semester in your photography class. If you have never picked up a DSLR camera, you will also be able to teach yourself with the step by step instructions in the lesson that teaches aperture, f-stop, ISO, manual mode and more. 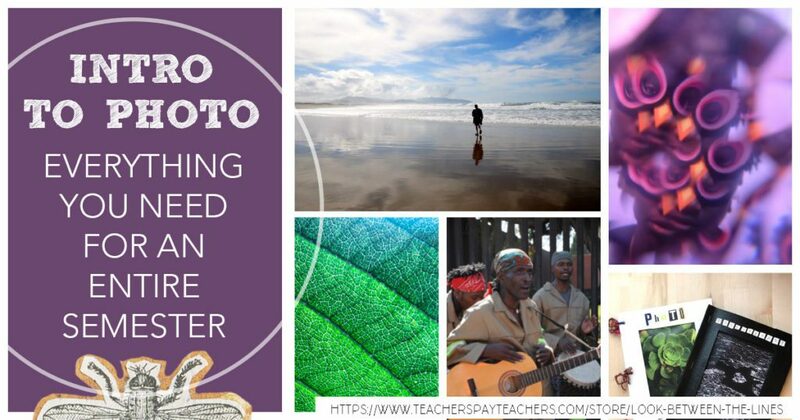 Plus, in addition to all of the lessons and activities, there are also eight printable posters to decorate your classroom with examples of important photography basics. Save $25.00 on this bundle during the sale, tomorrow (2/26/19) and Wednesday (2/27/19). Another bundle that has come together between August and now is my zendoodle worksheet pack. 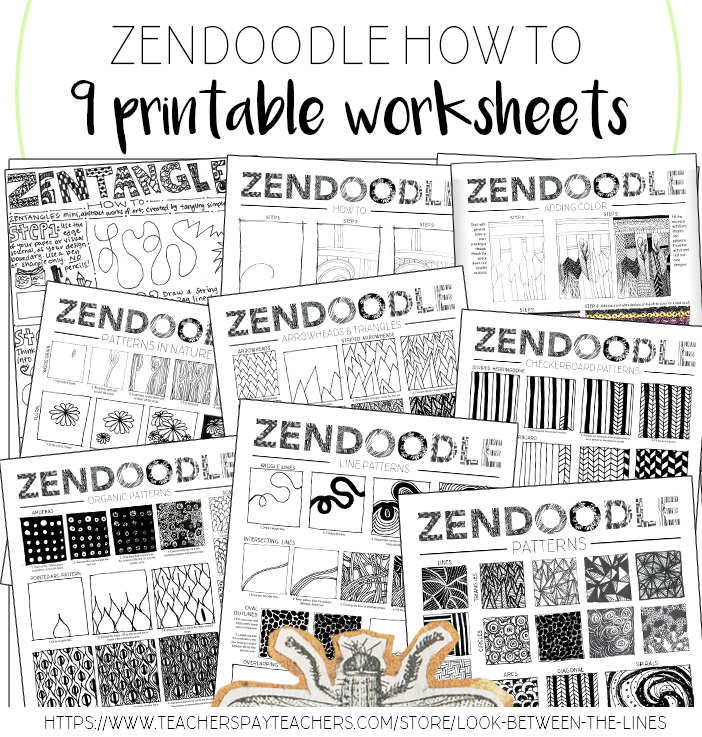 This pack includes nine worksheets that cover tips, techniques, and how tos with zentangling. These worksheets are a perfect introduction to adding patterns to a project or end of an assignment early finisher handout. Each worksheet includes examples of different types of zendoodles on the front (scallops, triangles, organic, adding color, combining multiple techniques) and a space for the students to practice on the back. At $14.40 you can get it for just $10.80 on TPT the next two days. The last product I will share with you is my most recent, my art supply labels that were posted this afternoon. I have been working on these for the last few weeks and am so excited to finally share them with you. My students always ask where supplies are located, even though every single cabinet and drawer in my classroom is labeled. One day the light bulb went on, maybe by adding a visual students would have an easier time tracking supplies down and finding their places when they are cleaning up. After all, artists are visual people. After making a list of every single supply I would want a label for. I got to work. I drew art supplies, painted watercolor blobs, scanned them both into my computer, and combined them together. They are bright, modern, and easy to read. I think they are perfect for K through college, readers and non-readers, and any style art classroom. These are listed for $25.00 and you get two different style labels, in two different sizes, of 46 different art supplies. There are a ton in this pack! Tomorrow and Wednesday you can get them for just. $18.75 on TPT. Today I have been preparing for the big TPT sale and settling back into reality. 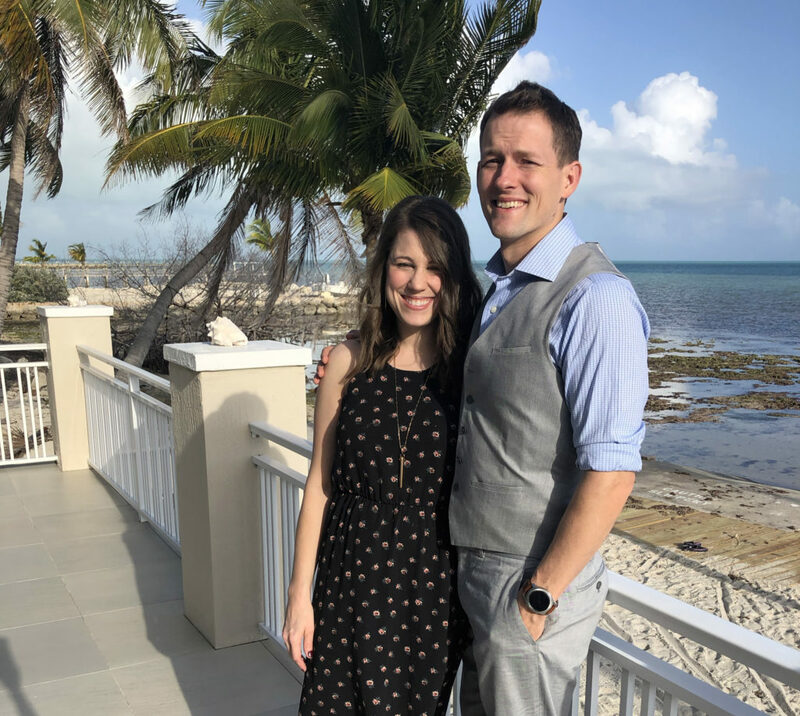 My little family and I returned home today from a brief Florida visit for a wedding. Cooper and Kennedy spent the weekend with my in-laws in Tampa while Nick and I continued on to the Florida Keys, Islamorada. Is was sunny, hot, gorgeous, and turquoise. I am not ready to be home but I am excited for tomorrow! 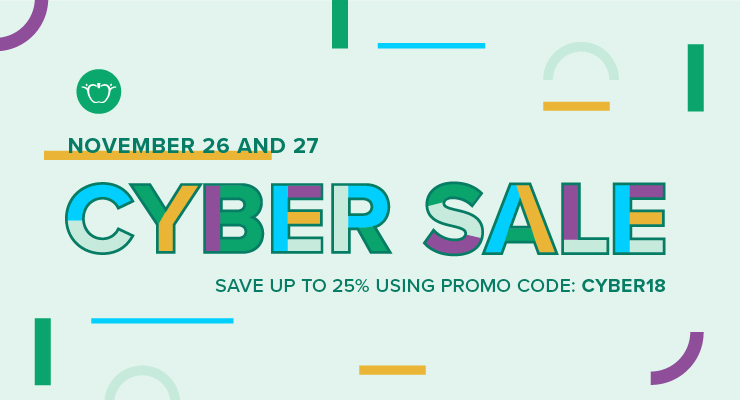 If you want to see some other resources I have been working on since this time last year check out my August sale blog post hereand the cyber Monday sale blog post here. Thanks for taking them time to check out my blog! Help me spread the word about my blog, my TPT art resources, and the big sale tomorrow by sharing with others! Thanks for stopping by. I had woken up early, showered, carefully selected my most professional outfit. I was driving on 285 en route to an interview. It wasn’t just any interview. It was an interview at a well regarded private school that happened to be across the street from where my husband worked, we could carpool. 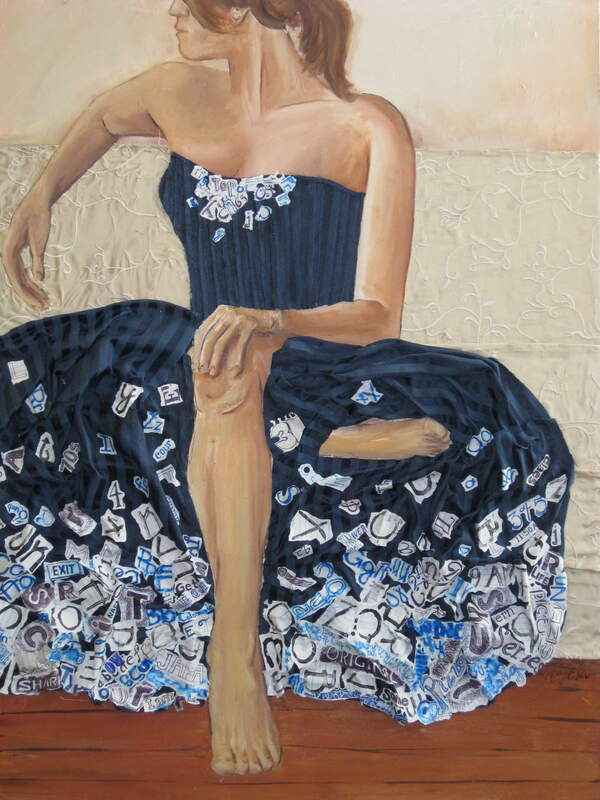 I would have an actual budget to teach art. I would have small class sizes. 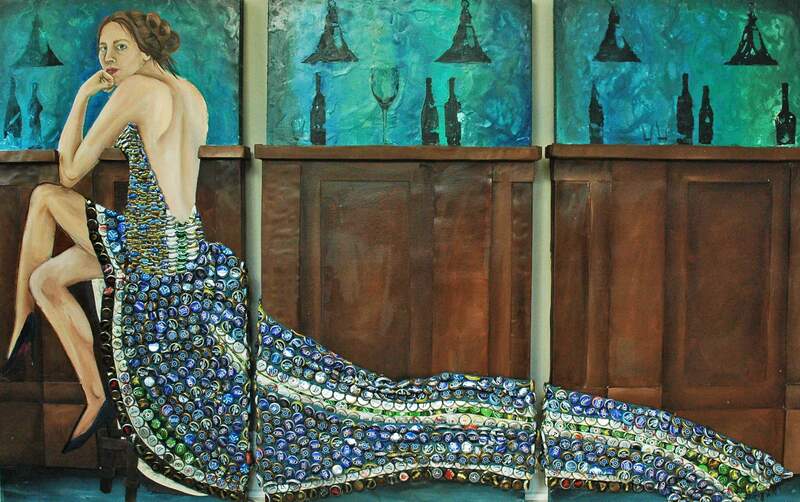 I would work in a building dedicated to the fine arts. I could move on from my current job where I felt worn out, unappreciated, overworked, and like I was only a warm body available to proctor standardized test after standardized test. A lot was weighing on this moment. I had to crush it. I couldn’t stay in my current job another year. Something needed to change. All of these thoughts circled my head when suddenly taillights flashed ahead; the sound of crunching, and squealing tires followed. I glanced quickly to my right and miraculously in that split second the lane was open, I jumped over just in time. I had just missed being another car in a string of crushed metal. A few seconds earlier or later and I could’ve been stuck on 285 while my interviewees awaited my arrival. I felt a wave of relief followed by the anxiety of almost being in an accident. By the time I reached my interview my nerves had calmed, I had collected my thoughts, I was ready. I walked onto the school’s campus and was overwhelmed by how beautiful it was. I sat through five different interviews, and while intimidating, they were all so welcoming and nice. It felt like a place I could belong. Seven years later that 285 corridor has become my commute. Hopefully I will continue to avoid accidents on my way to my beautiful campus and cushy private school job. 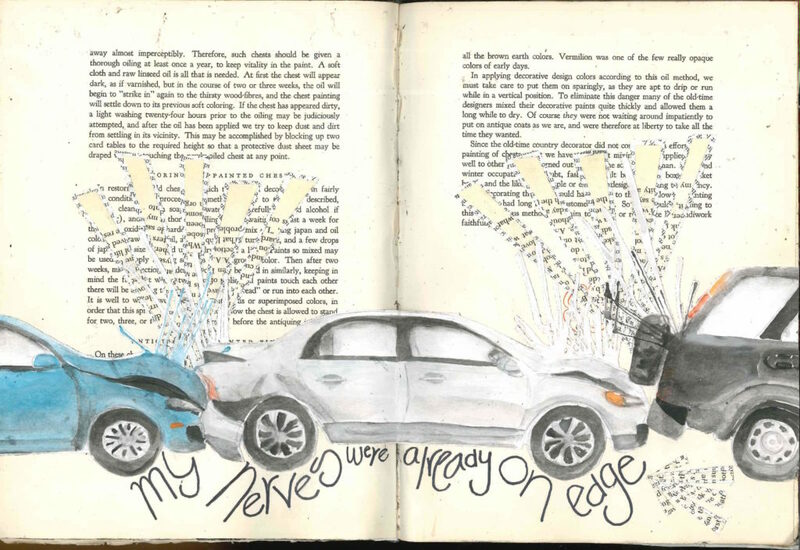 To create this visual journal page I wanted to recreate the scene of the accident. As I drove past and glanced to my left I saw at least three cars had rear ended each other, but quite a few were stopped. I decided to stick with that number, after all odds are more pleasing in art. I sketched out the crunched up cars on a separate sheet of paper and filled them in with watercolor. While the watercolor was still wet I blew it where the cars made contact to create a splatter effect. Once the first layer of watercolor dried, I add more detail and some shadows and highlights. I cut it out once it was dry. Next, I cut out triangle shapes from two different colors of book pages. I wanted to create a graphic, loud symbol that would somewhat blend into the background. I glued the smaller triangles on top of the a larger triangles, then carefully placed them in the book. Once I was satisfied with their placement, emphasizing the cars hitting each other, I glued them down. The watercolor cars were added next, then a few more book page triangles to the bottom. Last but not least I added the text using a thin sharpie. Create a visual journal page about a stressful moment in your life. 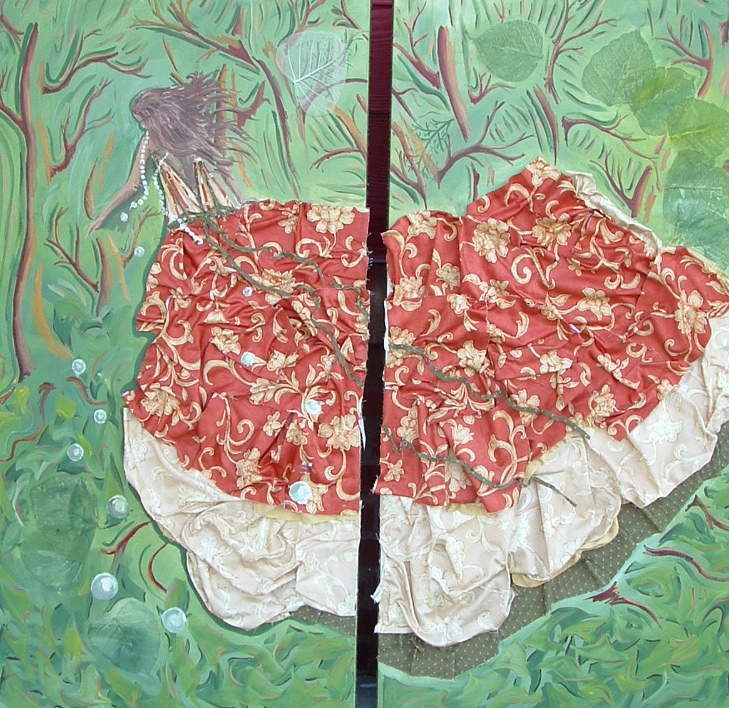 Incorporate cut up book pages somewhere in your image. 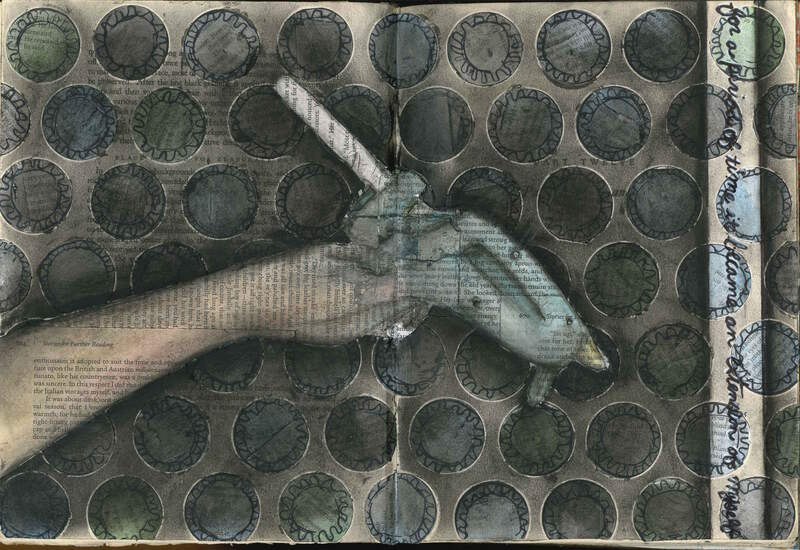 Check out more of my visual journal pages here. 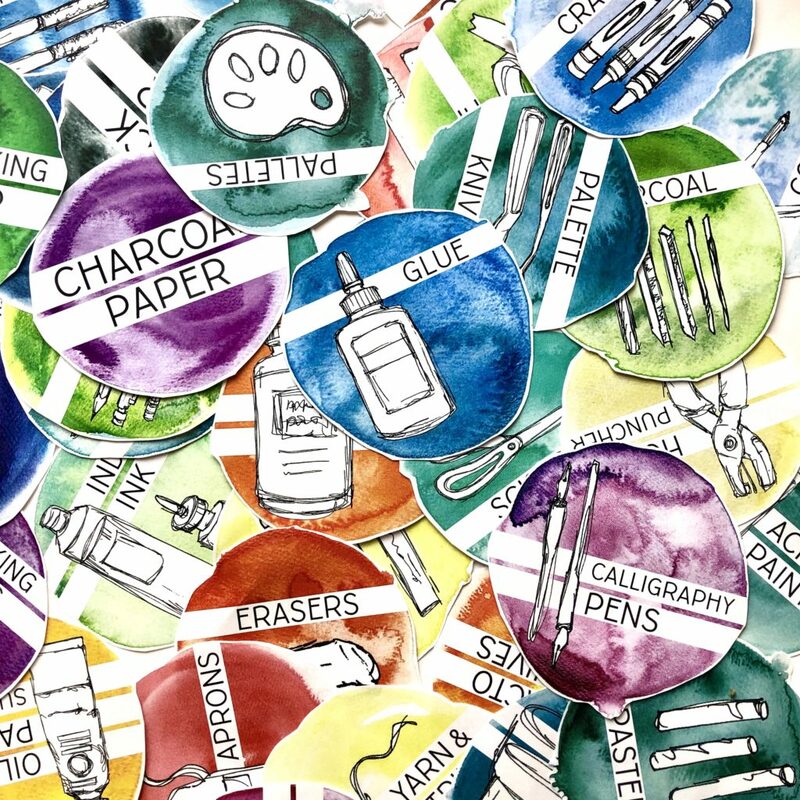 Interested in teaching visual journals? Check out my TPT lesson here. Thanks for taking the time to check out my blog! Help me spread the word about visual journals with others. Thanks for stopping by. It’s a blessing and a curse being an art teacher mom. A blessing because I always have art supplies on hand, ideas to fill rainy days, and I can make most of the decorations for events (such as a three year old’s birthday party). I went all out for Coopers 1st birthday. His second party was a lot more low key, as I was nine months pregnant with our little girl. 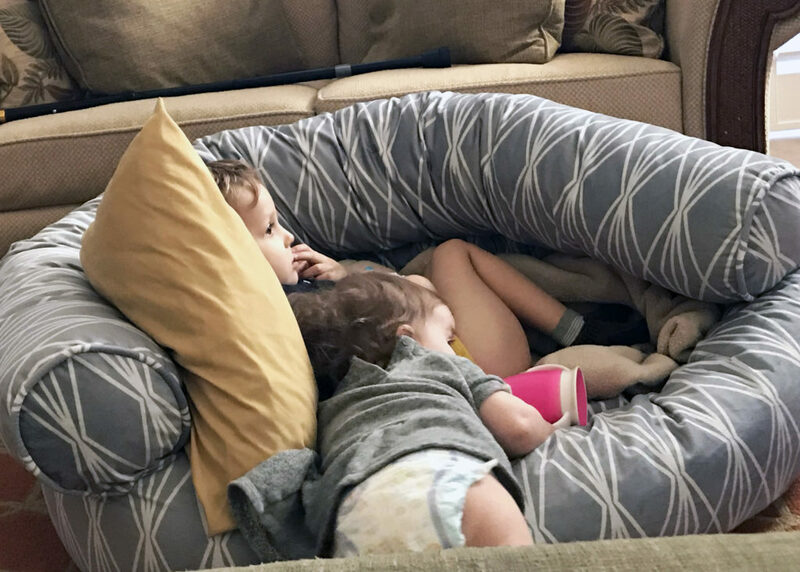 So by the time his third birthday came around I felt well rested and ready to plan another party. After many discussions Nick and I decided a playground birthday party was the way to go. 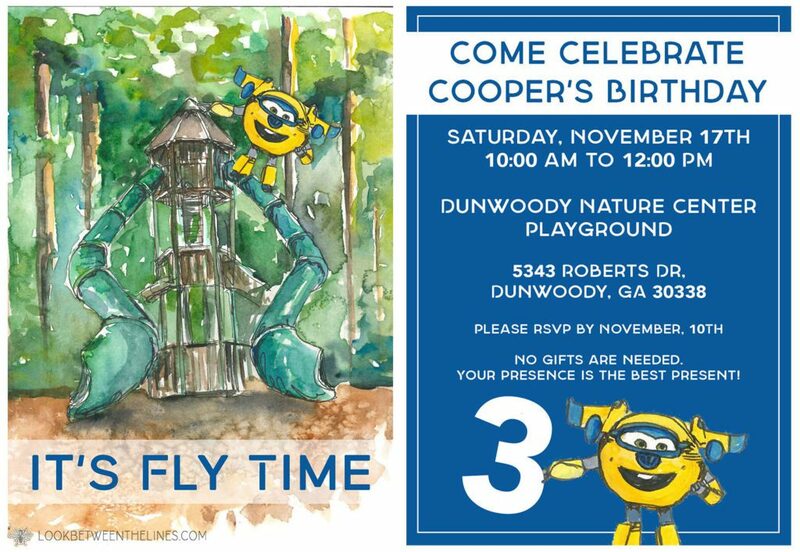 Cooper has a November birthday, so it was a risky choice as weather is questionable in Georgia that time of year. But, it was worth the risk to not have to host a slew of three year olds in our little house. 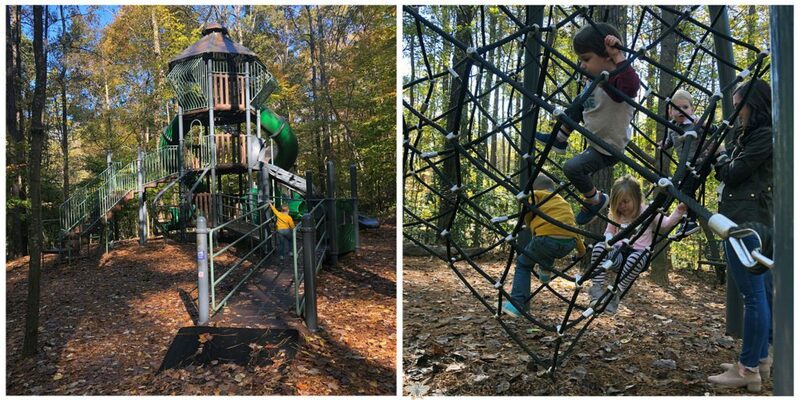 We looked at a couple of locations until we discovered the Dunwoody Nature Center. It was a playground in the woods. A hike from the parking lot, but it felt magical. Plus, I could visualize it on a birthday invitation. 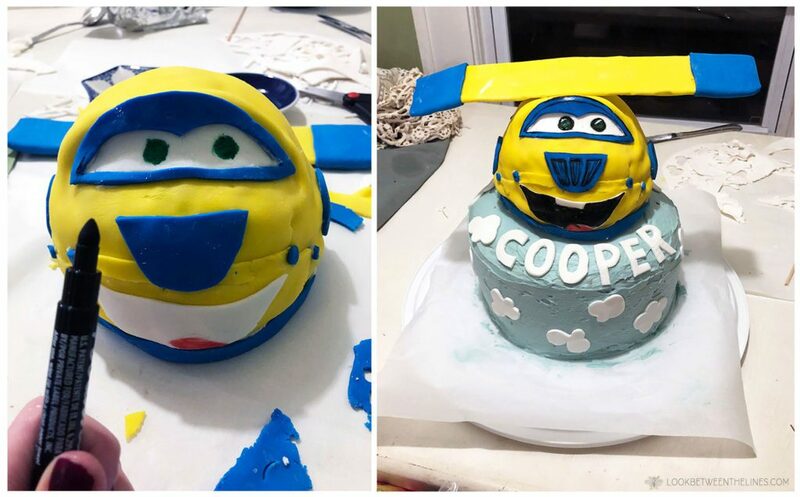 For months all Cooper talked about was a Donnie birthday party; more specifically a Donnie themed birthday cake which quickly translated into the theme of the day. If you are unfamiliar, Donnie is a character from the show Super Wings. What gets me is the fact that Donnie is a fairly insignificant sidekick to the main character, Jet. He doesn’t even show up in every episode. But for some reason my little man had his heart set on this yellow airplane. The birthday invitation was the start of it all. I decided to do a quick watercolor of the playground for the front. After all, my painting class was in the middle of a watercolor project, so it was perfect timing to work along with them. I then drew a Donnie and filled him in with Sharpie. Next, I scanned the drawing and painting into my computer and compiled the images together in Photoshop to create the back and front of the invite. I was very happy with the look of the invitations and was relieved to finally send them out to his classmates. That feeling was short lived as I began to realize we now had to actually plan the day. I decided to keep it as simple as possible. We would throw some tablecloths on the picnic tables, pick up Publix subs, chips, juice boxes, the usual odds and ends for a lunch birthday. I was keeping decoration to a minimum with a handful of balloons and a easy to make birthday banner. To create the banner I found pictures of all the characters online and saved them to my desktop. Next, I found a banner outline that I liked the shape of. I opened the banner outline in Photoshop, dropped a character in, and saved it. 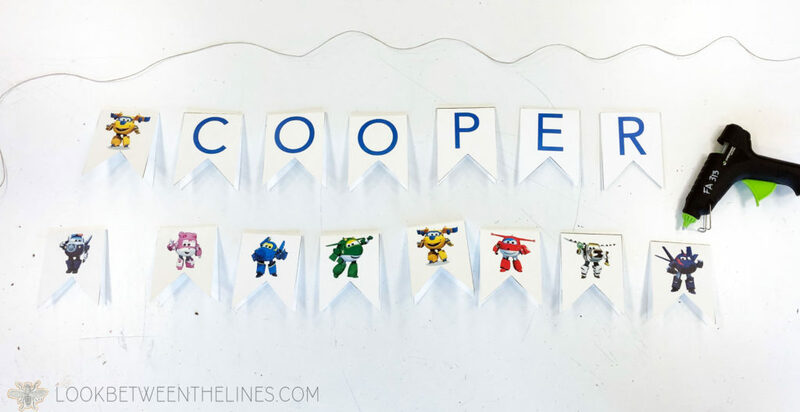 I repeated with all the characters and each letter in Cooper’s name. I then printed them on card stock and cut them out. I laid the banner pieces on a table and cut two long pieces of twine. I evenly spaced each banner piece before laying the twine in the fold and sticking it in place with hot glue. I then added a dot of hot glue to each tip to hold the folded pieces closed. 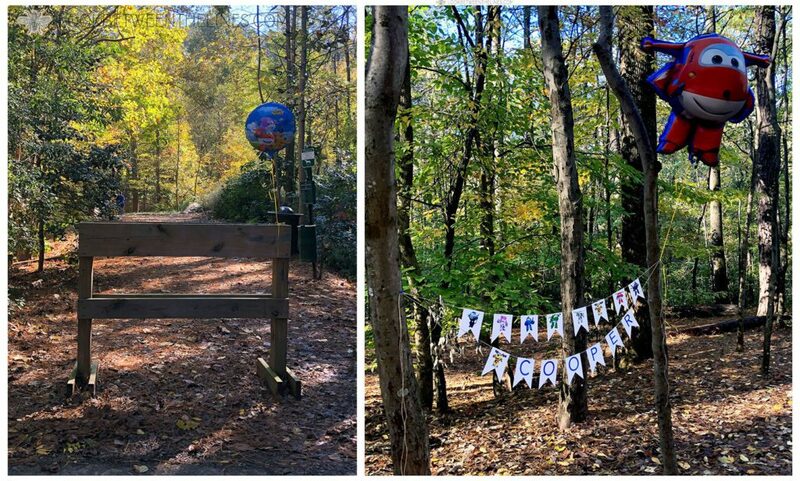 The banner was an easy (and cheap) way to decorate and to section off the picnic tables so other playground goers knew that this was a separate event. Because the playground was set back from the parking lot we used balloons to help guide everyone to the playground area. I found the Super Wing themed balloons on Amazon, but of course since Donnie is a smaller character, we could only find a big version of Jet. 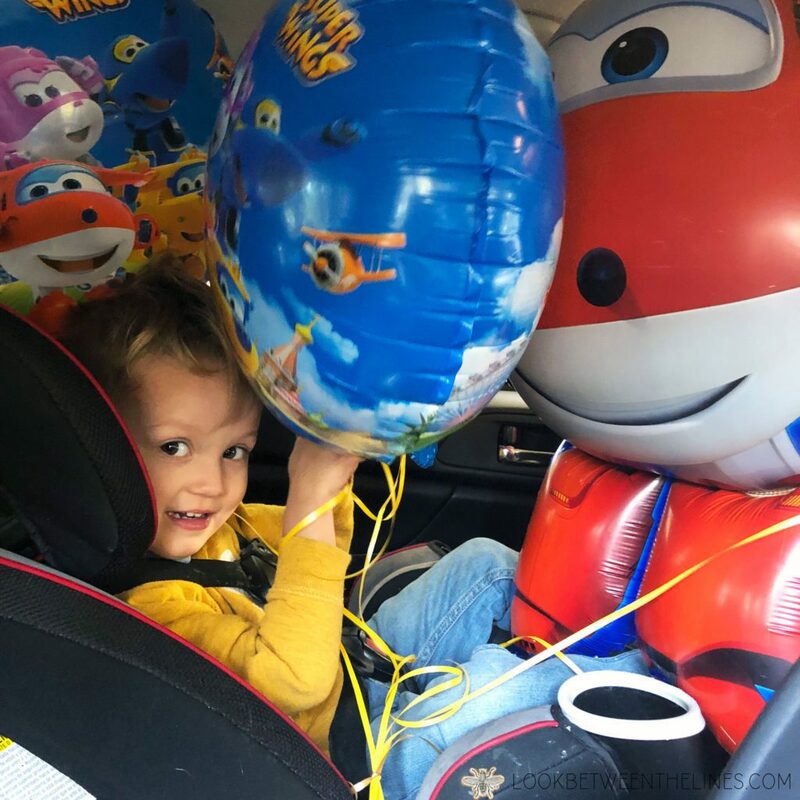 Cooper did not seem disappointed, he was too excited about the fact that we had a car full of balloons. I also outsourced the party favors. Nick and I debated between a few options before discovering a popcorn shop, Poppa Corns just down the street. Cooper got to select his own flavors to make a customized birthday mix. 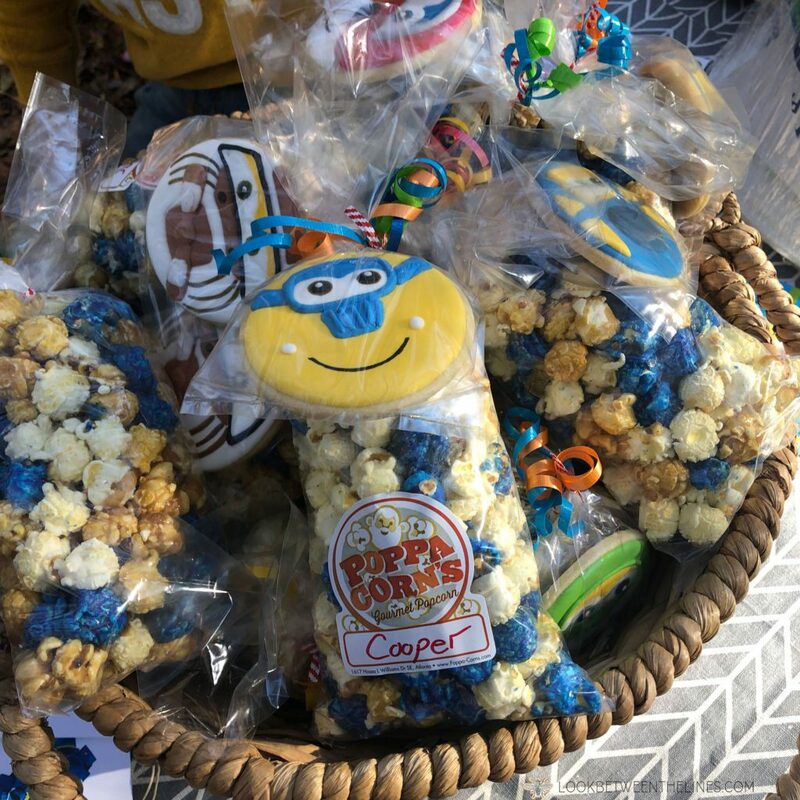 Between Cooper’s love for popcorn and the personalized touch, it was a done deal. Shortly after placing our order my sister sent a recommendation for a baker ( I Canita Cake) who makes amazing custom cookies. I reached out to her and very quickly placed an order to have every Super Wing character’s face on a cookie. They were adorable. The project I ended up overdoing myself on was the cake. 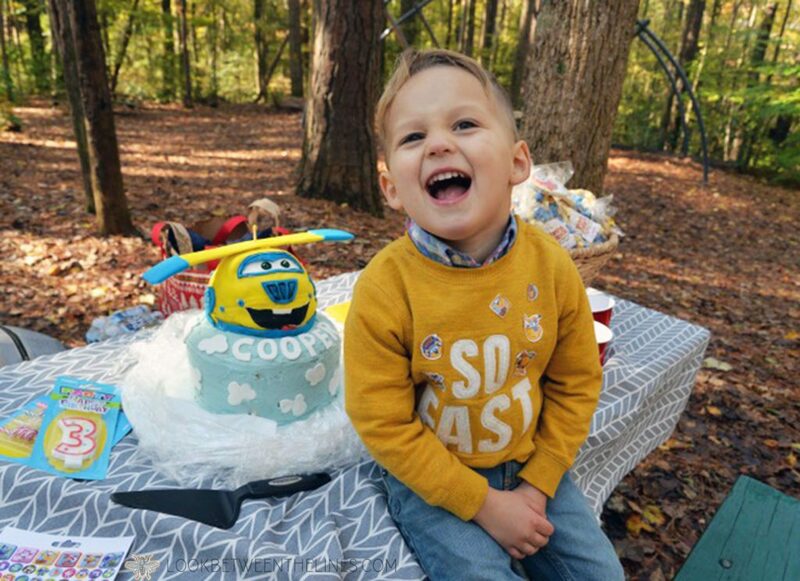 After all, the cake was all Cooper talked about when we brought up his party. He didn’t request presents, or a birthday at all, he just wanted a Donnie cake. I thought about making it myself. I brainstormed ideas, procrastinated, brainstormed more, and procrastinated again. As the big day got closer I started to chicken out and called every specialty bakery in the Atlanta area. If they could just sculpt the Donnie, I could stick it on a cake that I made. But I had waited too long. I made my bed, it was time to lay in it. I went to Hobby Lobby and raided their cake supplies. I got a sphere cake pan, colored fondant, and an edible black pen. On birthday party eve I started baking. I opted for boxed funfetti cake mix. I didn’t have the time to make a cake from scratch with the decorating looming ahead and funfetti is just fun, especially for a three year old. 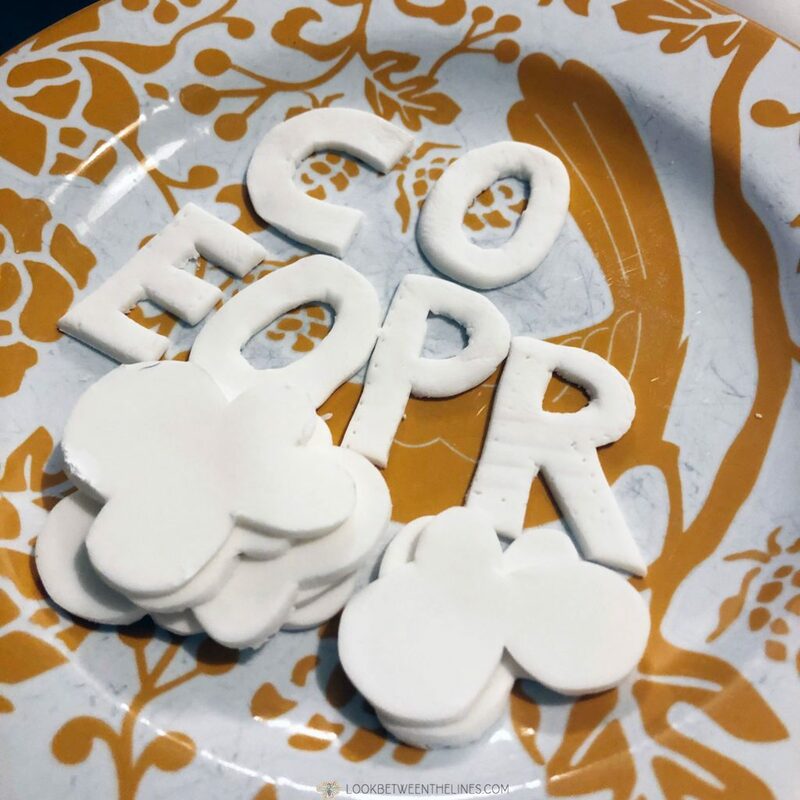 While the cake was baking I rolled out my first batch of fondant and cut out clouds and the letters for his name. It wasn’t too bad! My confidence was building. The rounds came out of the oven, once they cooled I began stacking them, I added my blue (from scratch) buttercream, and stuck the clouds around the side. I was feeling good. Then I started the Donnie topper. Issue #1: funfetti is very light and does not bake well in a sphere form. It didn’t hold it’s shape. As quick as I could I stuck the two cake halves together, slapped on some buttercream and draped my carefully rolled out fondant on top. Immediately the cake started crumbling, the fondant started cracking. With one hand propping the mess up, the other was trimming and smoothing the fondant. Around this time Nick walked into the kitchen, looked at the cake, looked back at me and asked, “So what’s plan B?” But I refused to give up. I cut out the details from blue and white fondant and strategically placed them to cover up mistakes. I reminded myself that Cooper would be looking for a yellow blob with eyes, it didn’t matter if it was perfect. I used food color to add the tongue and eye details, and was still frightened. I then pulled out the black edible pen and it was a game changer. I got everything outlined, the mouth filled in, the eyes emphasized. Donnie wasn’t perfectly round and was cracking, but it looked like him. I carefully added him to the top of the cake, and placed his wing on top. For the wing I cut the shape out of cardboard, coated it in buttercream, then wrapped it in fondant. I used a skewer to hold Donnie onto the cake and the wing onto Donnie. The icing on the cake was at 1 am when I realized the four layer cake plus a six inch character on top meant the cake did not fit in my cake carrier. I threw together cut up cereal boxes, plastic wrap, and crossed my fingers that it didn’t collapse. I would not see it again until we arrived at the playground. Other than a small section of icing that was scraped off, the cake survived. Cooper was over the moon and everyone was impressed. 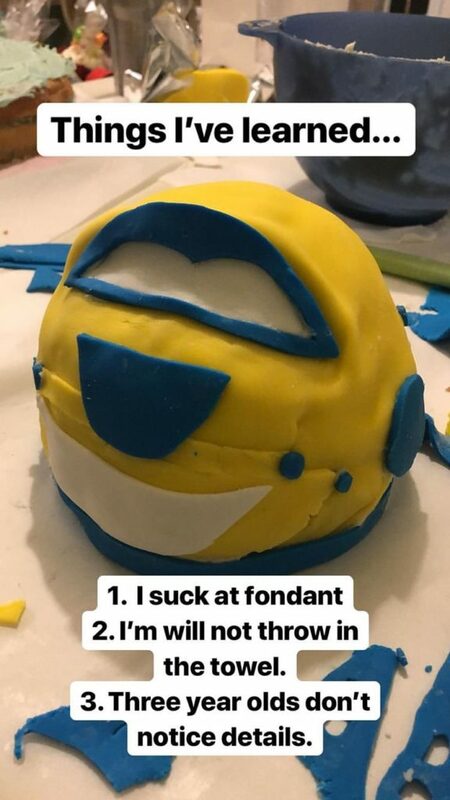 My first fondant experience was stressful, but for the most part successful. My favorite part was Cooper insisting he eat Donnie. It was his birthday after all. The birthday was a huge success. Cooper had the time of his life and the location felt so special. Although we had to haul coolers, food, and decorations through the woods and back, it was all worth it for my three year old big boy. 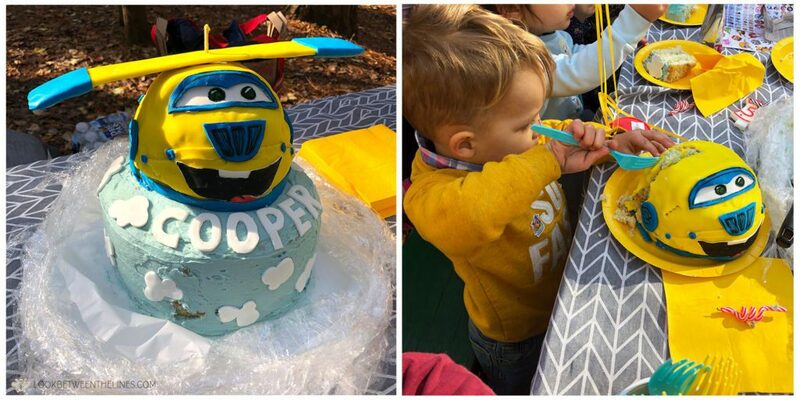 As soon as Cooper’s birthday was complete, I started working on Kennedy’s first birthday party, which was scheduled the weekend after. More to come on that soon! Thanks for taking the time to check out my blog! Help me spread the word by sharing it on your social media site of choice. Thanks for stopping by!